Where were the bullet holes on OS/2's corpse? Its head ... or foot? Part two My last piece on OS/2 was in part a mea culpa, a history of my part in its downfall. However, I can't claim all the credit. In fact, if I'm honest, there were hundreds of reasons why OS/2 failed, and most of them had nothing to do with me. So, here are some of the real corkers. Once upon a time, IBM made extraordinary money out of big iron; mainframes so large that the corporation boasted a German university ran its heating system as a side effect of its Big Blue computer. 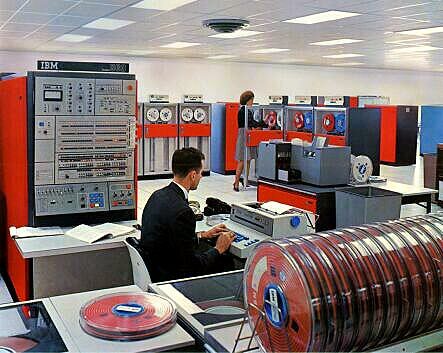 Even “mini” computers were often the size of a large room and that gave IBM huge control. It was just accepted by businesses that kitting out an organisation with a serious amount of computing power involved a serious amount of cash. IBM found it could charge whatever it liked - and did so. Personal computers didn't fit that model. Then a threat to IBM's big iron emerged: beefed-up PCs in the form of servers crept up on Big Blue, and so the mega-vendor decided to return fire by turning its own PCs into minis and mainframes. A new operating system was needed to achieve this. DOS had to go. Microsoft, which joined forces with IBM to craft OS/2, loved the idea of moving upmarket; at this point it had almost no presence beyond the desktop, and Bill Gates was entirely honest when he called Windows and DOS “stepping stones to OS/2”. He left competitors DR-DOS and Unix out of the picture. Back then an x86-powered server had more oomph than the IBM System/36 and 38 minis and even the AS/400, which came out roughly the same time as OS/2 at the end of the 1980s. You could stuff your Intel-powered box with disks and memory, and there was no reason to buy it from IBM, run IBM software on it nor pay IBMers to fix it and integrate it with other systems. You may think this is not only a good thing but inevitable. But if you own 85 per cent of a very lucrative market you don’t see that particular inevitability as anything good. Countless businesses had IBM software running on IBM machines hooked up with IBM SNA connectivity to an IBM printer that used IBM paper. Only a complete fool would risk losing that stranglehold, yet IBM faced losing control over the inherently disruptive and diverse world of PCs. IBM flogged personal computers without any thought at all for connecting them to the rest of its systems. Indeed for a long time you had to get third-party hardware and software to achieve this. IBM begrudged every penny of that lost revenue, but it did notice that every PC attached to a mainframe became a terminal that only ever added to the big iron machine's processor load. That meant customers had to upgrade their IBM mainframes to keep up. The rule of thumb was that every smart terminal was worth half a MIP in upgrade sales. I don’t know if that’s entirely true, but it was part of the justification for keeping PCs as PCs and not endorsing them as shared machines. Yes, IBM’s power was so great that if it did something then it was accepted as wise. There was, of course, Unix and VMS, but they weren’t from IBM and that scared many customers away. An IBM x86 server platform, though, would replace juicy mainframe margins with the pathetic ones in the PC domain. That meant although OS/2 was structurally capable of being a first-rate server operating system, this superpower was not exploited until it was too late - and IBMs servers sucked hard on price. IBMers in the corporation's PC division believed servers were going to be huge, but it was tacitly accepted that Microsoft would take OS/2 to servers. This avoided upsetting the parts of IBM that made real money unlike IBM’s PC division, which had a high profile but low profitability. It’s hard to see how they could have made any other decision, not least because IBM was run by “business people”, defined as those who would regard any requirement to understand their products as offensive and got aggressive if more than a fleeting mention of them was made. Its competitors were run by people who had personally built some of their tech; you may not think Bill Gates was a star programmer, but he had written code rather than worked his way up from accounts. He ran rings around IBM. As you may recall from part one of this series, I was a bug-hunting contractor working for IBM on OS/2 in the late 1980s. It’s obviously been a while, but the passage below is what I remember of the wording on a blood red sticker that IBM’s tenacious security people would place on your desk if they found you'd left anything out at night that could be top secret. By this mark I cast you sinner. Thou hast sinned. Yes, sinned in the eyes of God, sinned in the eyes of man, sinned in your own heart. My eyes can no more bear the pain of seeing your sin. Begone from this realm of grace and attend at the portal of the keeper of iniquities where your sins may be made plain to you. Or something like that, anyway. Since the security sniffers couldn’t read disks, any they found were assumed to be full of secrets so they took them to a safe place and you had to grovel to get your disks back. To twist the knife you had points knocked off the evaluation scores of both you and your boss. We’re alone here, so you can admit you really want one of those stickers, don’t you? So did the Microsofties when they worked, depending on your view, with or in spite of IBM. After the first one got a sticker for leaving a programming manual on a desk, they all wanted one to take home and show to their friends. Remember, Microsoft was not the dinosaur it is now. It was the cheeky small mammal eating the dino's eggs. It was a time when Redmond executives used their own products without resenting the time it subtracted from reducing their golf handicap. Yes, it was a long time ago. These days I have a sideline in being an expert witness in IT-related cases, and even my own clients are extremely sensitive about letting me have access to their systems. That’s how IBM treated Microsoft even though OS/2 was supposed to be a joint effort. IBM flatly refused to allow Microsoft to use any part of its network, which given the way Microsoft had behaved was entirely rational, even if it wrecked productivity. So the Microsofties created their own network using cables they got from the Tottenham Court Road shop that also supplied their PCs. We’ve all had the joy of turning up at a new job and waiting for a working computer, but if you were the biggest IT firm on the planet and your most important project was slipping, wouldn't you make sure your partner's developers have PCs ready and waiting for them? When Microsoft's finest pitched up in London, they bought their own gear. It was easier and they preferred Compaq machines. Unfortunately, the IBM PS/2, a desktop that was supposed to primarily run OS/2, was not fully compatible with the Compaq computers and potentially the code the Microsofties were rattling out. Microsoft in the US had to battle to get PS/2s from IBM to test the software. At the time IBM also owned the database market to the extent that some IT pros would struggle to name a competitor and probably just blurt out the name of an IBM product anyway. Begrudgingly Big Blue eventually came out with an “Extended Edition” of OS/2 that could connect into IBM database systems, but it was pretty hard going to say the least. It was not until I used Lotus Notes that that I saw anything as bad. Certainly it was not seen by anyone as part of IBM’s well-respected suite of database management systems. IBM made more money out of its database sales than the whole PC division put together, and it vetoed any attempt to bring out a database that was more user friendly than a cornered rat on a house of cards. I don’t actually know who wrote it, though I do know he has never been to England because he still lives, since I had write code for it and it hurt. Decades later RIM made the same mistake: it made a tablet specifically incapable of doing email, which its BlackBerry smartphone did so well. It ended badly. RIM wanted to avoid "confusing the market", but really it's evident the smartphone team's management was politically more powerful than the newbie tablet gang.